Posted: May 15, 2014 in F1, Who,What,Where & When...? This superb shot is of Ronnie Peterson at La Source hairpin, Spa 1970 aboard privateer Colin Crabbe’s ‘Antique Automobiles’ March 701 Ford. In the good ‘ole days one could, if one had the ‘readies’, buy a car, pay the entry fees and race in Grands’ Prix. Perhaps the greatest in ‘modern times’ was Rob Walkers Team (he of the whisky company) which scored the first championship victories for Cooper and Lotus (in Stirling Moss’ hands) and the last victory for a privateer team when Jo Siffert triumphed in Walkers Lotus 49 in the 1968 British GP. Since the early 1980’s the FIA have mandated that F1 entrants own the intellectual rights to the chassis they enter, in essence meaning the entrant builds the car and races it ending the long tradition of private entrants buying and racing cars built by others in the sports highest echelons. Crabbe’s ‘Antique Automobile’ business entered Vic Elford in a Mclaren M7 in 1969. March’s Max Moseley offered Crabbe/Peterson a 701, all Colin needed to provide were the engine and ‘box both of which he happened to have from the previous years campaign with Elford. And the ‘readies’ of course which he was confident of securing through trade support. 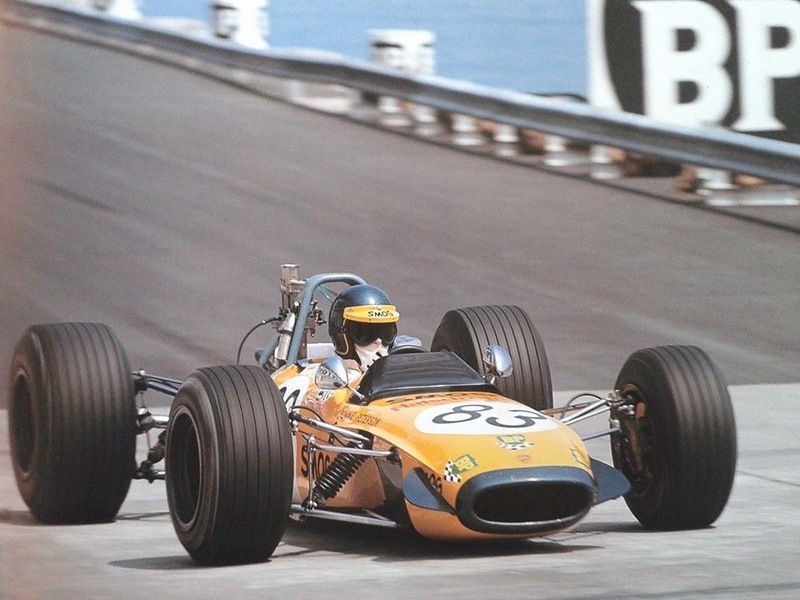 Peterson jumped from the F3 ruck in ‘69 winning the European F3 Championship including the Monaco F3 race in a Tecno. At the end of the the year he raced the very first March, the 693 F3 car which James Hunt also raced that winter. Due to unusual circumstances March’s first year in the sport resulted in them supplying customer F1 ‘701’ cars to the reigning world champion Team Tyrrell who were unable to run Matras’ with a Ford Cosworth engine as they had in the previous 2 years. The French concern wanted their own V12 to be used exclusively in their cars. Jackie Stewart tested the MS120 but was convinced the DFV remained the superior engine, Lotus and Brabham were not prepared to sell Tyrrell cars so off to Bicester Ken went; no pressure on designer Robin Herd in designing a car for the reigning world champ! Matra never won a GP with their own V12 engined car, despite going very close with their single car Chris Amon entries in 1971/72, that Matra honor going later to Ligier with Jacques Laffite’s first GP win in Sweden ‘77. That Tyrrell couldn’t buy a competitive car was the reason he became a manufacturer rather than a privateer, he set designer Derek Gardner to work on the first Tyrrell which appeared in late 1970. But I digress. March also sold a ‘privateer’ 701 driven occasionally by Mario Andretti in addition to the March ‘works cars’ for Chris Amon and Jo Siffert, a remarkable roll call of drivers in a constructors first year, not the full list either! Aussie rival, friend and ’72 Ferrari 312P sports car teammate Tim Schenken nicknamed Peterson ‘Mad Ronald’, observing up close one of the sports ‘automotive acrobats’ sublime car control, tail out ‘balls to the wall’ style in the mould of Nuvolari, Rindt and Gilles Villeneuve. The 701 was not the ‘cream of the 1970 crop’ but it was good enough to win the Spanish GP in Stewart’s hands. 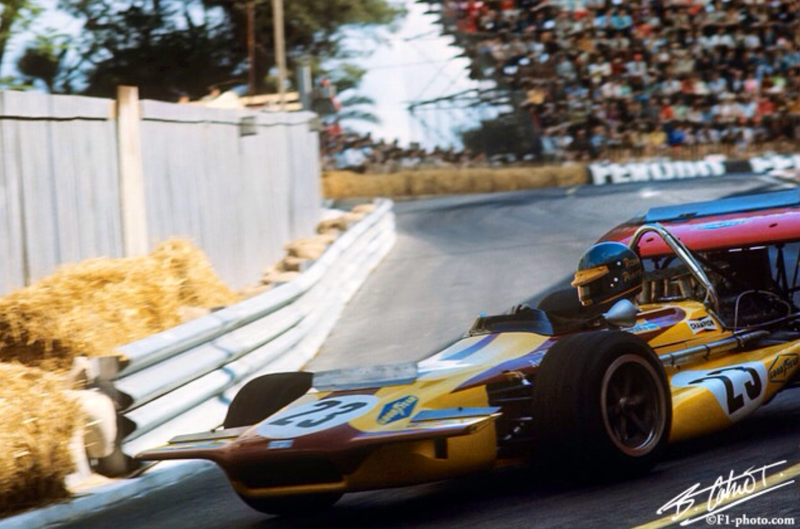 Ronnie did well in his car ‘701-08’ justifying March’s faith in him and the rest , as they say, is history, Petersen won 9 Grands Prix for Lotus as well as March’s only factory team win, their ‘prodigal son’ returned in mid 1976 frustrated by the uncompetitiveness of his Lotus 76 and took the Italian GP in a March 761 Ford. 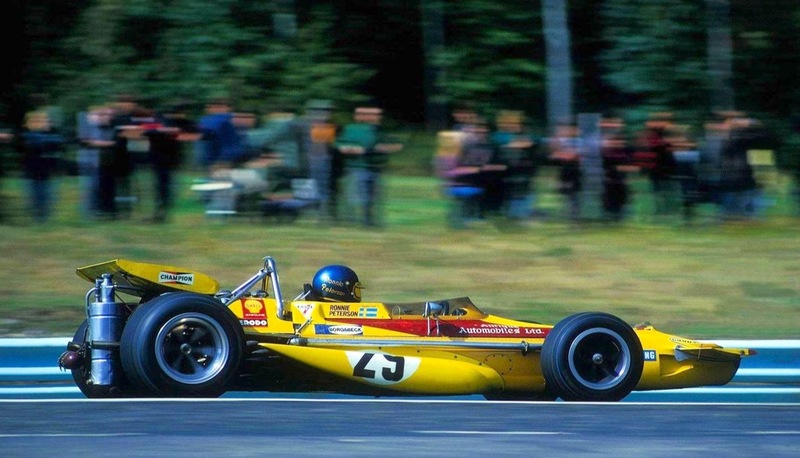 Peterson, racing a Lotus 78 was an innocent victim of an accident at the start of the 1978 Italian Grand Prix and died of his injuries the following day. 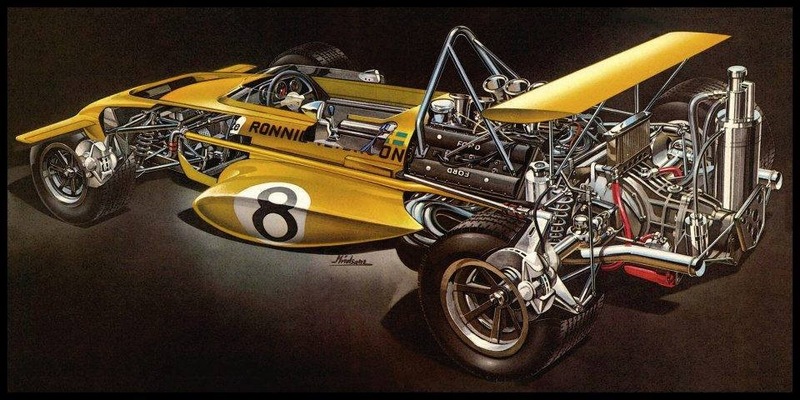 March 701-08 cutaway drawing. Aluminium monocoque chassis, Ford DFV 3 litre V8, Hewland DG300 gearbox, classic and very effective ‘British F1 Kit Car’ of the period. 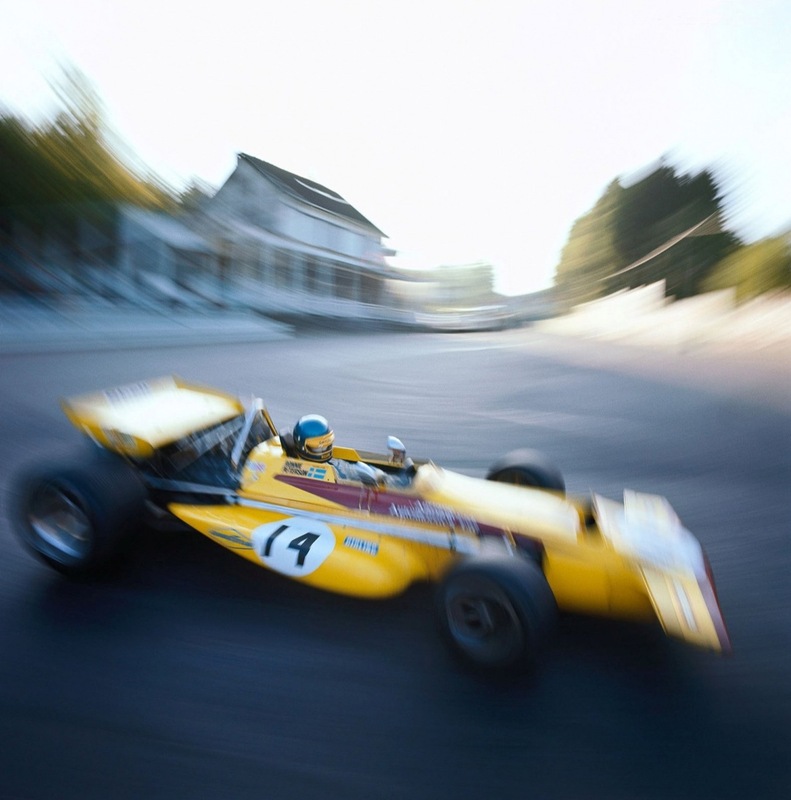 Car first raced at Monaco in May 1970. 11 March 701 chassis’ built.